Recent research published by Harvard Business Review shows that employees with a positive mood are 31% more productive, sell 37% more, have 10% higher customer ratings, and are 300% more creative. Whereas depression and stress disorders are thought to contribute to 34% lost productivity through absenteeism and presenteeism. 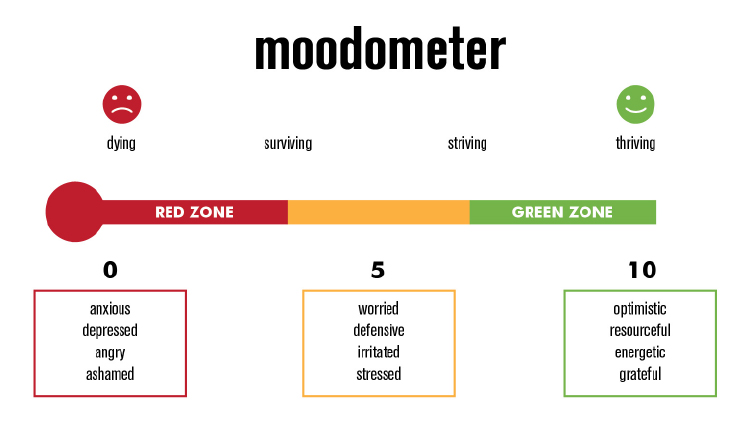 Mastering our moods is a critical resilience skill not just for leaders in driving employee engagement and performance, but also for their team. When it comes to wanting to increase resilience and improve our mood, the need for a simple but useful tool is critical. International speaker and author on mental health in the workplace, Graeme Cowan, refers to a simple sliding scale the ?moodometer? that allows you to identify your mood and act where appropriate. As an organisational leader we are also placed in the position of Chief Mood Officer (CMO) for ourselves and our team. Our communication style, attitude and how we act can either create or destroy positive mood and resilience.